Calissons are a rare sweet originating from 16th century Aix-en-Provence and are comprised of two delightful layers: the first, a chewy and subtly sweet fruit and almond blend that brings out the best flavors of the season, and the second, a delicate layer of royal french icing for an extra bit of sweet and crunch. They are traditionally made with candied Provençal melon. There are several theories to how and why the calisson was created. Our two favorite stories are below! It was the wedding feast of King René of Anjou to Jeanne de Laval, and it was said that during the feast the young bride was so morose over the arranged marriage that the royal cook Titsé became desperate to make her smile. He created a confection of almonds and candied fruit for her, and viola, he got his smile. When neighboring feast-goers discussed what finally lit up her face, someone declared "Di cali soun!” A little hug. Inspired by sweets from Italy, the calisson was created using a new local crop at the time: the almond. When Europe was devastated by the black plague, calissons were thought to offer protection, and became so popular that the archbishop of Aix continued to bless the calisson and offered it in chalices on Christmas, Easter, and other holidays. To this day it continues to be a cherished product of Aix-en-Provence, and is commemorated through holidays traditions, including the Blessings of the Calissons. 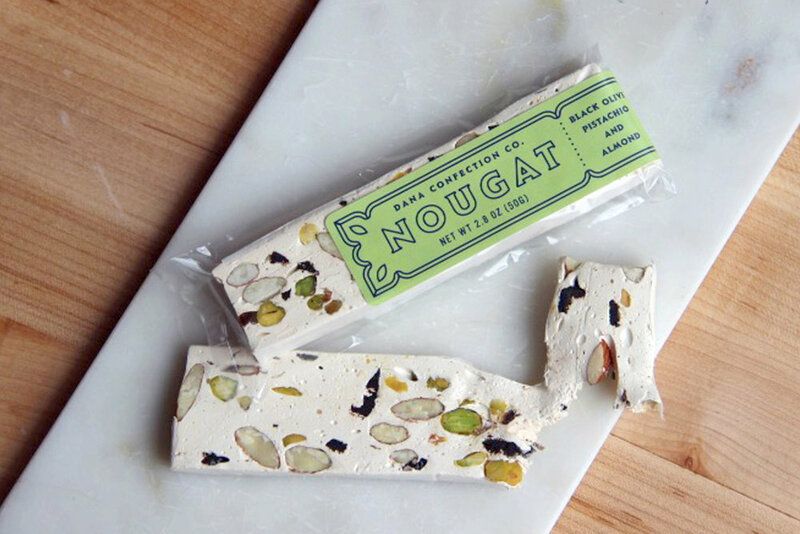 Chances are you have had nougat before, so what makes our nougats different? It is soft, chewy and the perfect mix of flavors and textures. Our irresistible combinations include Black Olive Pistachio Almond, Candied Fruit Almond, and Coffee Pretzel Macadamia Cocoa Nib. 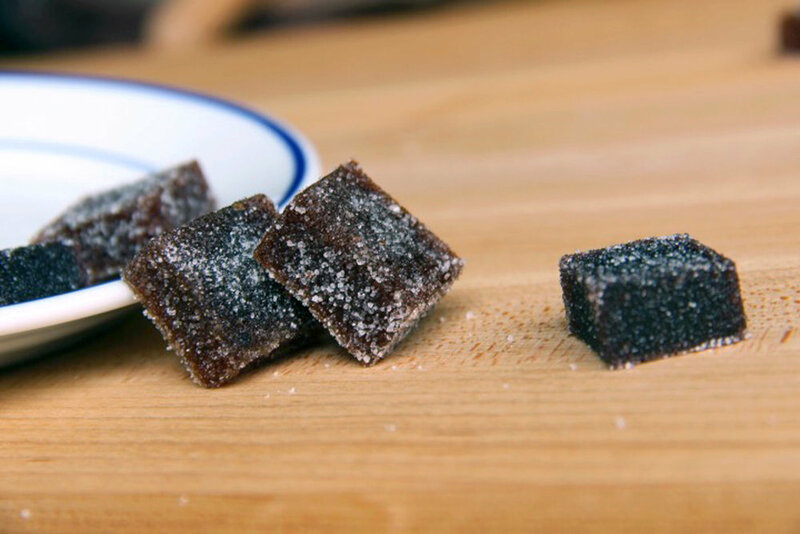 We pay homage to the traditional French candy “pâte de fruit”, with a twist. Hinted with a touch of caramelization and chewiness, our version is made by cooking down and pureeing our candied fruit and syrups. The best part? Our soft and sour candy are the perfect canvas to combine incredible flavors together, such as strawberry-lavender, red currant verbena, blueberry sage, and pink gooseberry juniper. Remember how we said we don’t waste one drop of our fruit? Our syrup is a byproduct of our candying process. As the fruit soaks over the weeks, the rich flavors seep out to form a concentrated syrup. 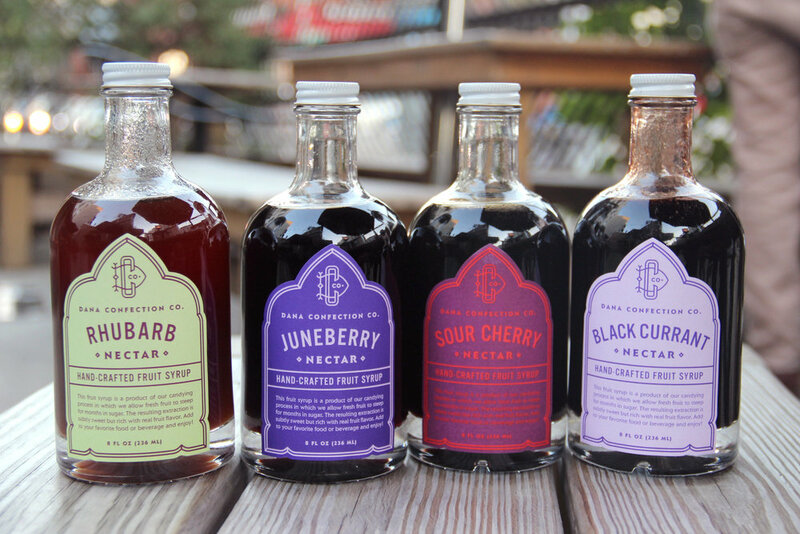 Order our syrup for cocktails, homemade soda, glazes, and more! These drops of heaven are in limited quantity, so contact us for more information. We couldn't help ourselves, we had to delight our customers with chocolates as well. 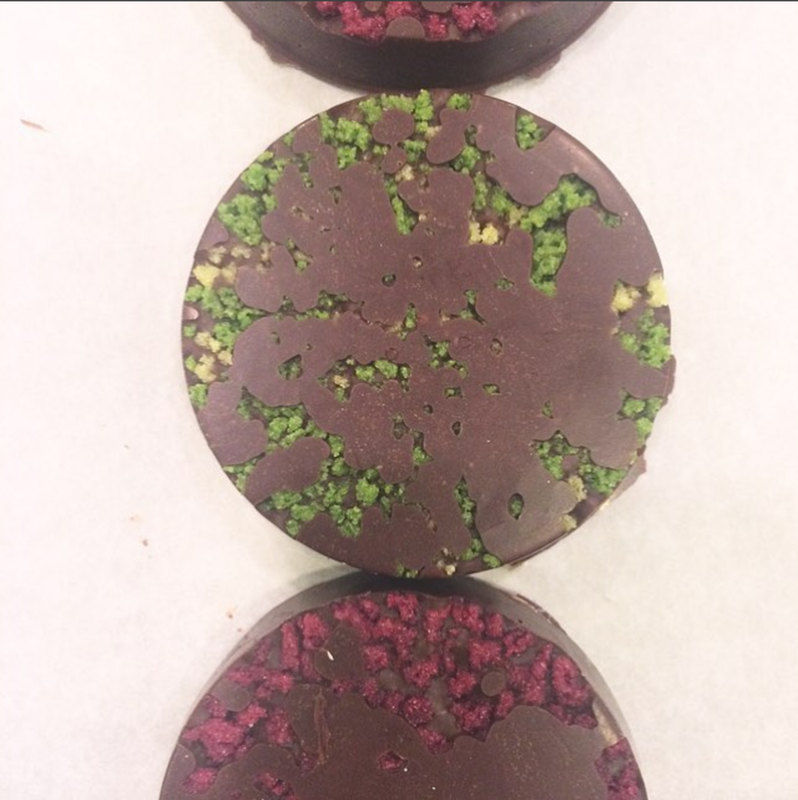 We top ours with a variety of flavors such as our strawberries, basil crystals, and fennel crystals. Perfect for favors or gifts. We produce these by order, so contact us for more information.